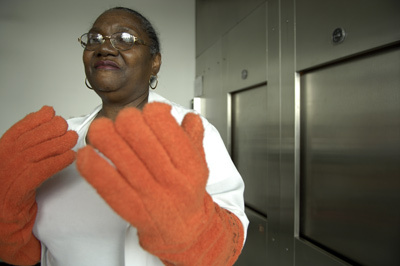 Four weeks after the April 26 ribbon-cutting that formally opened the $200 million Ellen and Melvin Gordon Center for Integrative Science, researchers in plant geneticist Daphne Preuss’s lab—occupied since January—hunkered over a computer screen and kept an eye on the pH indicator turning yellow in a culture flask. 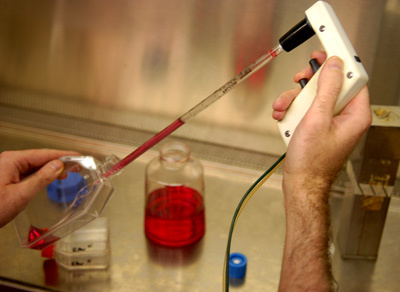 A grad student waited for a PCR machine, which duplicates DNA outside the cell, to finish its cycle. “In the old days, you’d see sinks at the end of every lab bench,” mused Julie Feder, PhD’84, executive administrator of the Institute for Biophysical Dynamics. “Today it’s PCR machines, one per bench.” Down the hall, one of molecular biologist Harinder Singh’s researchers leaned into a chemical hood to transfer cells to a fresh culture. In the fourth-floor lounge, two PhD students sat down to microwaved lunches, notebooks beside them on the table. The facility gathers together the biological- and physical-sciences divisions, the biochemistry & molecular biology and chemistry departments, the Howard Hughes Medical Institute, the Ben May Cancer Research Institute, and the James Franck Institute—very big science, indeed. 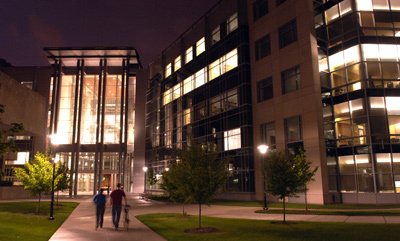 The Gordon Center may be dense with biochemistry, physics, genetics, and molecular biology, but its exterior is all light and glass. A soaring atrium hinges the east and west wings. Researchers began claiming quarters in the Gordon Center in June 2005; by this past spring’s dedication, it was 70 percent full. In molecular biologist Harinder Singh’s lab, research associate Peter Laslo cultures cells. 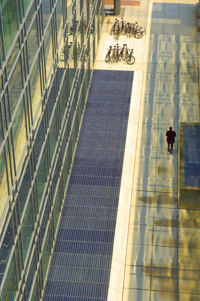 A $31 million ventilation system keeps the air climate-controlled and chemical-free. 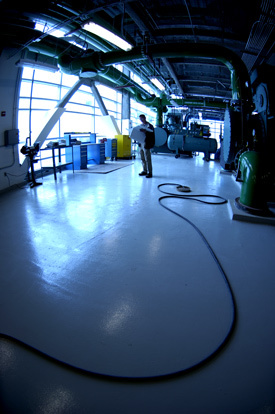 The chiller room, checked daily by building manager Gerald Pinka, serves the entire facility, operating at 62.7 million Btus. “Lots of people use this—I get complaints when it’s locked,” Pinka says of the underground corridor linking the Gordon Center to Crerar Library. 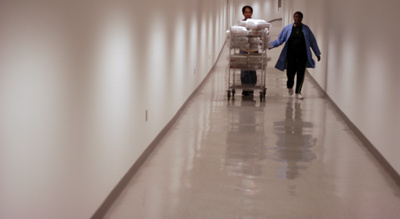 Tunnels and skyways will soon connect nearly all science and medical buildings. Besides a $600,000 scanning electron microscope and a $270,000 electron paramagnetic resonance instrument, the building offers walk-in, environment-controlled plant chambers. 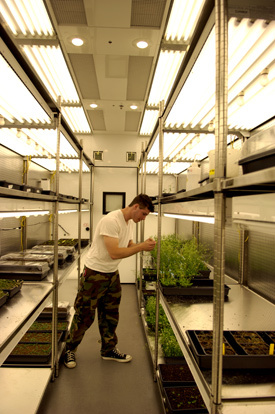 In geneticist Daphne Preuss’s lab, PhD student Andrew Cal checks a flat of mustard plants. 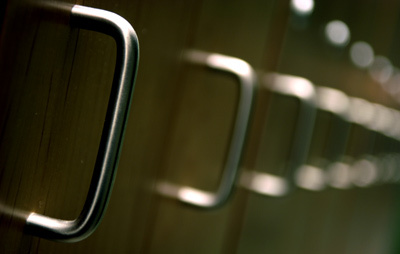 Outside the labs’ wide open spaces, lockers give students, post-docs, and technicians a place to stash their belongings. 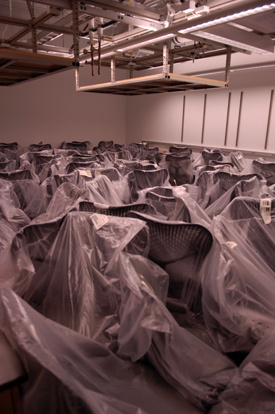 : Until the building’s 400,000 square feet are fully occupied this fall, vast seas of unwrapped chairs, unassembled lab tables, and boxed equipment congregate in vacant rooms. As scientists like geneticist Bruce Lahn (striding to work) become more interdisciplinary, “it’s very important that they not be down the street from one another,” physical-sciences dean Robert Fefferman told the Chicago Maroon in April.